The Halo Hues line was also one of the most anticipated holographic lines to release since…who knows when? Even I, in my jaded state of mind, wanted it. However, I wasn’t going to rush out and get it the moment everyone else did. 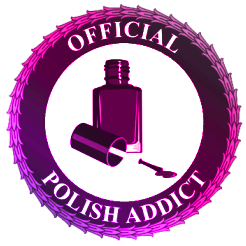 I waited until my nail guys got it in…and I was a bit shocked at the price – $7 a bottle. You’ve got to remember, I’m used to paying $4 or less. Side note and some gossip on the brand Color Club itself…did you know that Essie and her husband split up maybe a year or two ago? When I say Essie, I mean Essie Weingarten as in Essie the woman behind Essie nail polish! They split up the business and she got to keep Essie and he kept – get this! – Color Club. Or so that’s what my nail guy told me. He says he deals with the man directly at Color Club and they’ve got like a bromance going on. Who knew?! 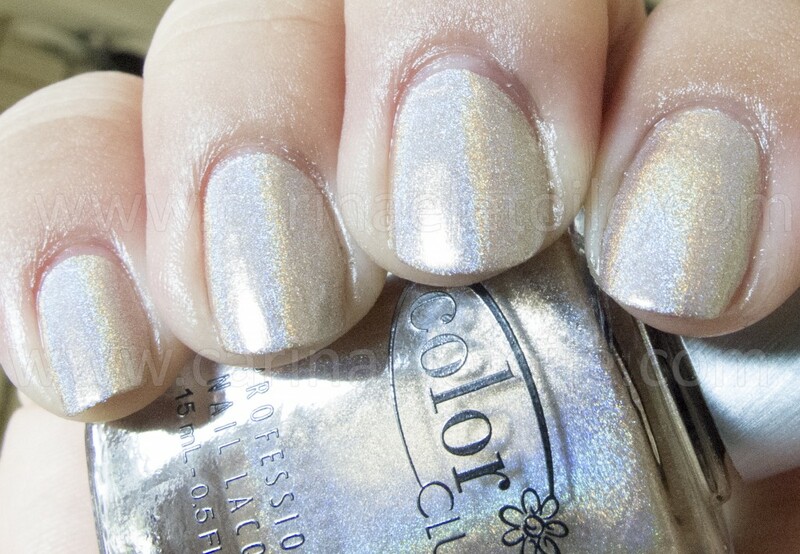 Color Club Cherubic is this amazing neutral beige. I was thinking of doing a comparison to another China Glaze holo that I own, but I’m gonna be honest – I was feeling like a lazy heifer and I didn’t want to dig through my China Glaze stash. I know where it is, but I was lazy…and it was cold! 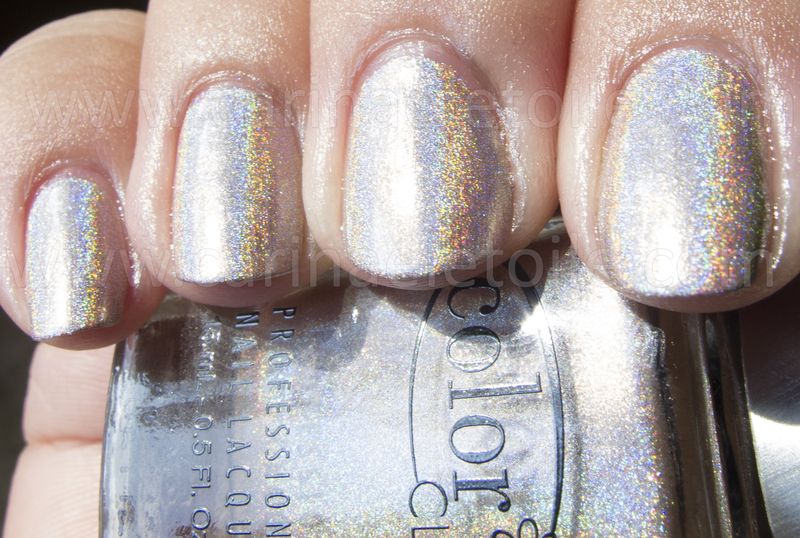 Formula on this is typical of a holo…So I worked fast and hoped I didn’t do any crazy dragging of the color. I didn’t use my NFU Oh Aqua base because I didn’t feel I needed it…and I didn’t. 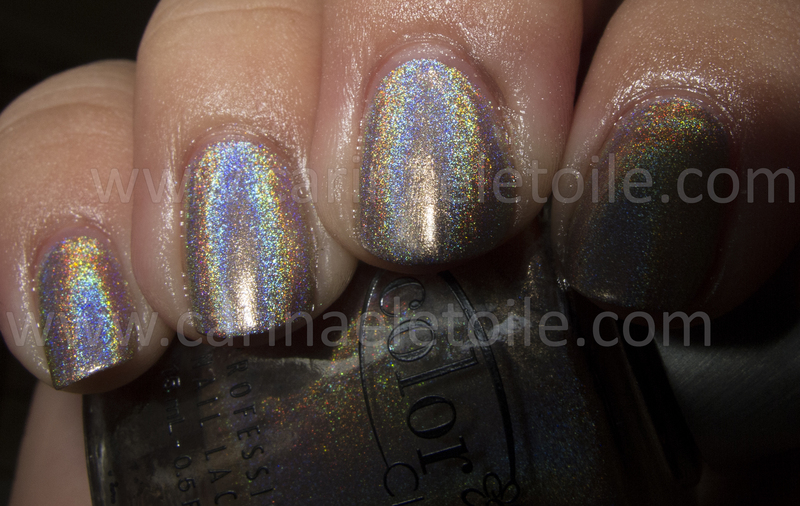 When you swatch enough holos you get a feel for the formula very quickly and I liked how fast this one dried. Lickety-split fast. The beige looks almost like a silver. Flashtastic flash does its fabulous work on the holo. BOOM! So pretty! It looks like a silver-beige in this sunlight shot. Overall I’d say get the Halo Hues if you can…I’ve got a feeling that these will be like China Glaze’s Kaleidoscope, OMG and LOL collection – once it’s gone, it will be gone. There will be imitators, but they won’t take the place of the originals. Beautiful! I love beige holos… stunning but still understated.